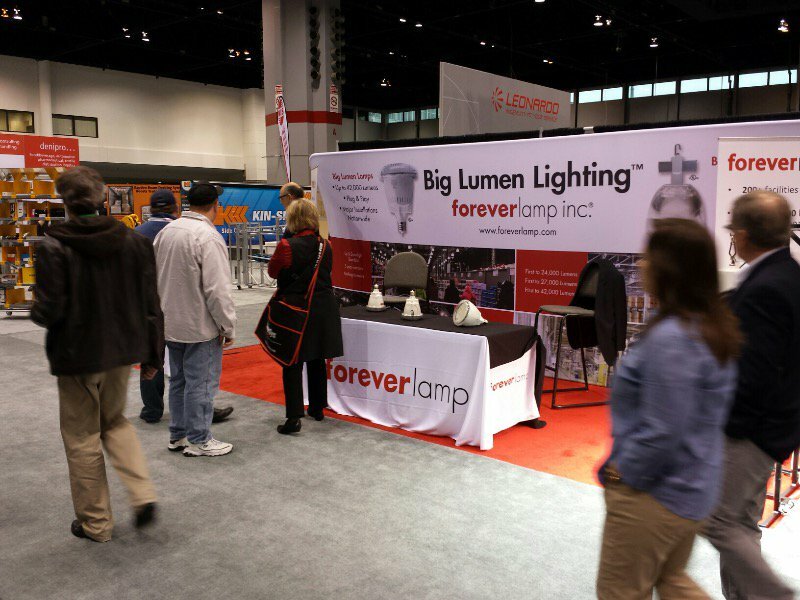 Thank you for visiting the Foreverlamp booth at ProMat 2017 in Chicago’s McCormick Center. It was an outstanding show and we appreciate the time you spent to stop by our booth to view our award winning LED high bay lamp and fixture lighting solutions. As you know from your visit, our LED high bay replacement lamps and LED high bay fixtures replace existing HID lamps and fixtures. There is no simpler way to save over 200W per socket than to screw out the old lamp and screw in the new Foreverlamp LED bulb. Have a Question? Need one of our specialists to help you find the ideal solution? Contact Us! 1. 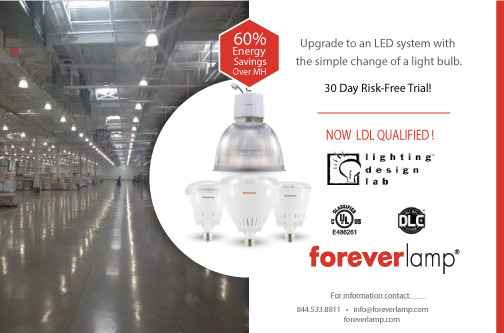 Purchase the Foreverlamp LED high bay replacement bulb perfect for your application and start saving big $’s immediately while improving the quality of light by over 50%. 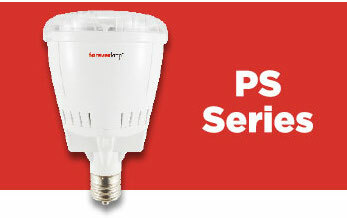 The Foreverlamp Series of plug-n-play lamps feature a patented cooling system and innovative design that allows for a quick and easy plug-n-play installation. Each lamp is designed to work with the existing magnetic ballast and sockets and doesn’t require any re-wiring, reconfiguration and/ or contractors to install. Installation simply involves, unscrewing the existing lamp and replacing it with a Foreverlamp. As simple as changing a light bulb! 2. If a ballast goes bad, either replace the ballast or replace the fixture BUT KEEP THE LAMP. 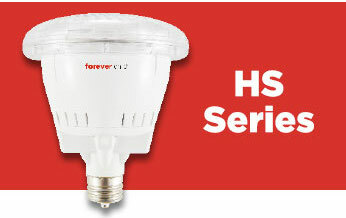 Our unique fixture package comes with a high efficiency LED driver AND uses the same lamp that operated on the existing HID ballast. Features the traditional round high bay look and its innovative design and includes “true up-light” with an interchangeable LED bulb. The perfect choice for those users looking for an affordable upgrade to their existing 750W-250W HID systems in warehouses, gymnasiums, manufacturing facilities, and auto dealerships. 3. If it is simply time to replace all your fixtures – no worries. We have super high efficiency DLC approved fixtures. For those applications that require up-light our aesthetically pleasing Classic fixtures line provides great options to open up your warehouse or manufacturing facility with our patented true up-light system. Whatever your situation we have economical and high performance solutions perfect for your facility. 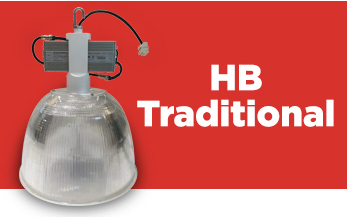 A classic high bay fixture that combines the traditional round look of an HID high bay with the classic driver housing creating an un-paralleled aesthetic design. The attention to detail doesn’t stop at the design as this fixture line exceeds 135 lm/watt with custom LED driver powered by Delta™. 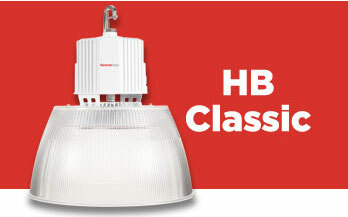 The Classic Series has replacement options for 1000W through 250W HID applications. If you would like to “Try before you Buy“, to see how well our lamp replacements work within your environment, we’ve got a program for you. No risk. No obligation to buy. WE'VE GOT YOUR MERCHANDISE COVERED!